The Babushka slot machine from Thunderkick is a game which revolves around typical Russian dolls (the kind that split in the middle and within each is a smaller doll). Every symbol in the game is represented by a different sized and aged doll. The largest dolls are the youngest and worth the least cash. Meanwhile, the smallest dolls depict the oldest women and are most valuable. The game’s main feature is that the dolls can transform into the next oldest doll in the sequence. There is also a symbol that doesn’t appear on the reels until the smallest, highest value symbol transforms. This is a ghost of a lady and awards the highest prize. More on that and everything else about this innovative title later though! Really creative bonus features. They take a little getting used to but once you have your head around exactly what is going on, the upgrading symbols make a lot of sense – particularly given the slot’s theme. Unconventional theme for a slot machine but it really works. If you told us we’d be getting so much enjoyment out of a title that is based around Russian dolls, we’d have definitely thought you were joking. Solid artwork throughout. The dolls themselves have been lovingly illustrated and the background of a piece of knitwear is a nice touch given the theme. Tragically low main game prizes. If you like games to award big prizes for simply matching symbols, this game probably isn’t going to be for you! 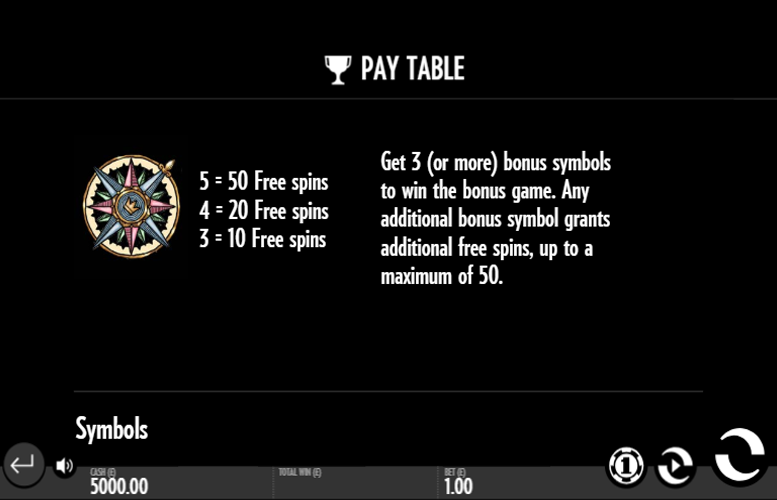 Players are given few options to vary bet distributions across the reels. Level 6: Green (youngest) =0.4x the total bet. Level 5: Blue = 0.5x the total bet. Level 4: Purple = 0.7x the total bet. Level 3: Pink = 0.8x the total bet. Level 2: Red = 1x the total bet. Level 1: Orange = 1.5x the total bet. Level 0: Yellow (Oldest) = 2x the total bet. Ghost = 100x the total bet. If a “wild” is showing a star when the reels stop spinning, it will open to reveal one of the three Mystery Features detailed below. When the Scare Bear Mystery Feature is active, the lowest valued symbols on screen will upgrade one, two, or three times in sequences depending on the size of the bear. When the Charm Bear Mystery Feature is active, all symbols visible on the reels will upgrade one level. When the Dance Bear Mystery Feature is active, players will receive seven free spins. During the free spins, a new “wild” egg will appear on reel three every spin. 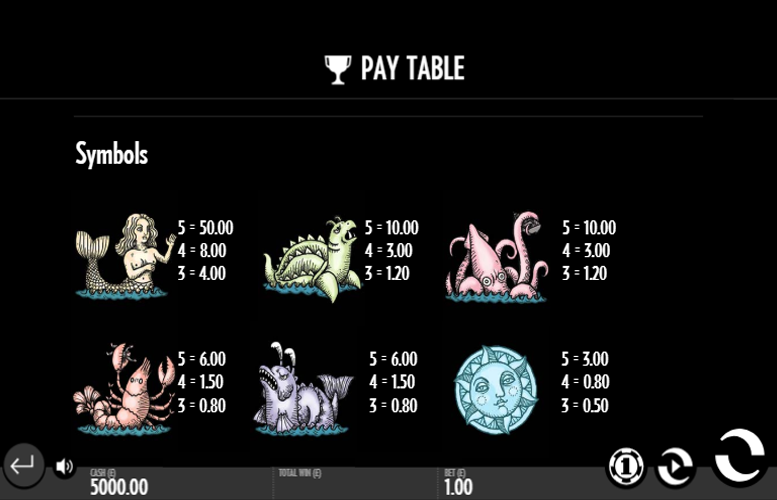 All winning symbols of the same value will upgrade to the next higher valued symbol on the pay table when this creates new or longer winning lines. 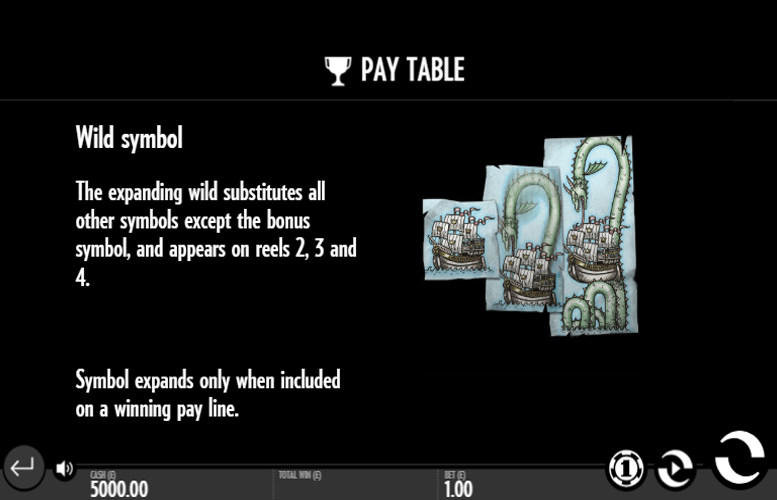 If all 15 symbols on the screen are of the same value after all winning symbol upgrades, they will be upgraded one additional time. Unlike the slot machines from many developers, players are kind of limited when it comes to distributing their bets on Thunderkick games. There are no options to alter the number of win lines played or the amount bet on each one. 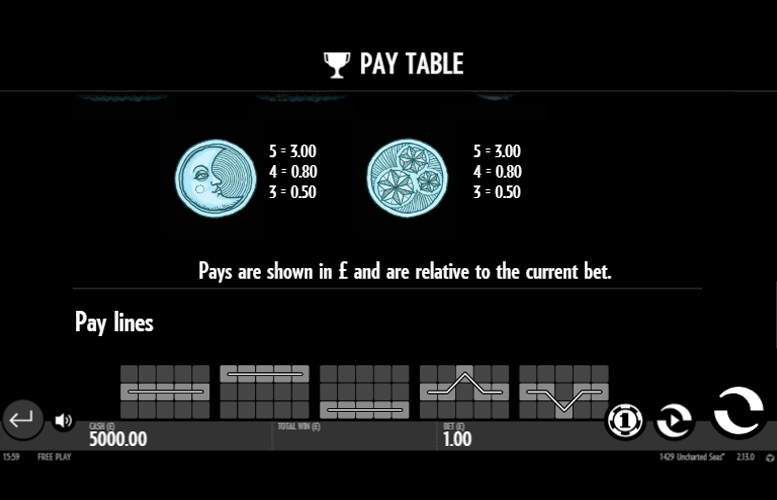 Instead, players are given a series of different bet sizes ranging between 10p and £100. Evidently, Thunderkick tried to appeal to as many players as possible by including such a range. Only those wishing to make the largest bets possible will likely feel unaccommodated on the Babushkas slot machine. Thunderkick have created a truly innovative slot machine with Babushkas. 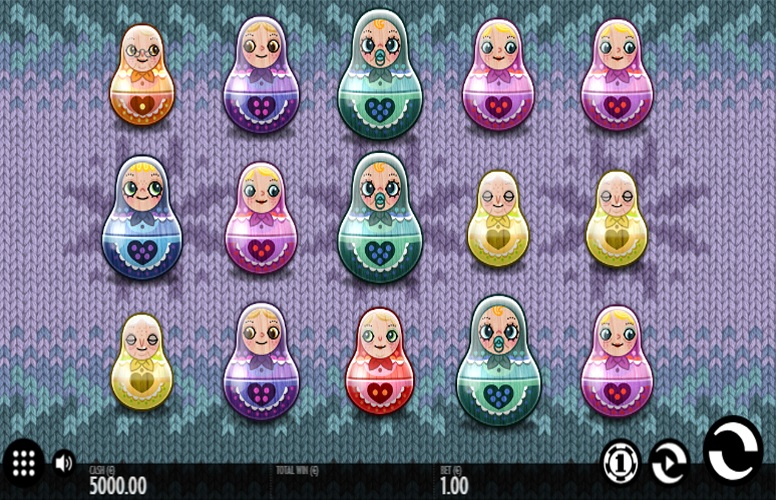 Rather than rely on a typical free spin or “kick-a-box” kind of side games, the title uses a sequence of Russian dolls that can upgrade to the next smallest doll in the sequence. When you get a few back-to-back upgrades, the cash really starts rolling in! Whilst the game does make use of some of the most creative gameplay features we’ve seen on a slot, it isn’t perfect. The prize structure will certainly offend some players (who wants to win less than they bet for hitting five-of-a-kind?) as will the lack of options to adjust how bets are distributed across the reels. These are minor quibbles though and overall, the slot is a winner! This game has a rating of 4 / 5 with 451 total reviews by the users.